Chaim Witz, known professionally as Gene Simmons, is an Israeli-American musician, singer, songwriter, record producer, entrepreneur, actor and television personality. Also known by his stage persona The Demon, he is the bass guitarist and co-lead singer of Kiss, the rock band he co-founded with rhythm guitarist Paul Stanley in the early 1970s. Kiss has typically been classified under the genres of hard rock and heavy metal. Most of their ’70s albums, particularly the first six released between 1974 and 1977 as well as 1982’s Creatures of the Night, featured a hard rock or traditional heavy metal style. 1979’s and 1980’s Unmasked featured a more disco/pop rock sound, and 1981's Music from The ˆ found the band dabbling in progressive rock. The first review of Kiss by Rolling Stone, in 1973, described the band as "an American Black Sabbath". The same magazine's review of Hotter than Hell stated that "with twin guitars hammering out catchy mondo-distorto riffs and bass and drums amiably bringing up the rear, Kiss spews forth a deceptively controlled type of thunderous hysteria, closely akin to the sound once popularized by the German Panzer tank division. 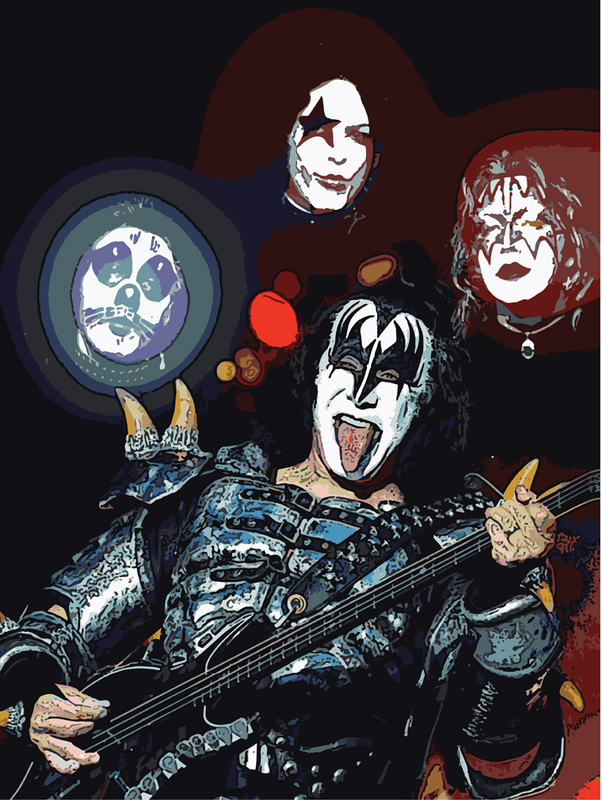 "Bennington Banner from Rock Music magazine said, "with its members' bizarre, Kabuki-like makeup, studded black leather costumes and arsenal of on-stage firepower – both musical and literal – Kiss represents the most extreme form of hard rock in 1974.